The GP-330B is a high performance GPS Receiver designed for any type of vessel. This compact and cost-effective receiver offers extremely accurate position fixes, within 3 meters with the WAAS mode activated. 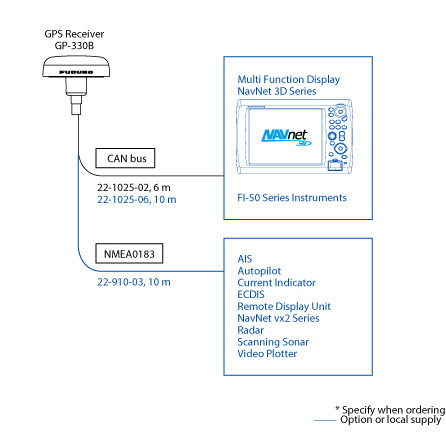 The GP330B is capable of data output in CAN bus/NMEA2000 format, making it an ideal GPS sensor for use with NavNet 3D systems. The sensor comes with all of the hardware required for deck- or mast-mounting solutions.